Are you a yoga teacher dreaming of hosting a retreat? 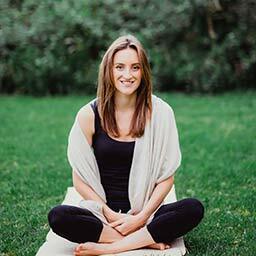 Namaste, I'm Taran Jenkins, Owner and Director of Creating Space Yoga Retreats. We offer Yoga teachers the opportunity to host an inspiring Yoga retreat, without endless hours of work, stress and worry. Our team takes care of all the logistics and planning, allowing you to focus on your teaching and being present with your students. Each retreat has been handcrafted by myself and our wonderful team of Yoga / Travel experts. Your very own retreat manager, an exotic location and a pre designed retreat package that we tailor to suit your desires. You’ve heard about wellness travel and yoga retreats, but the idea of a Yoga retreat – a trip that can be catered to any type of fitness/adventure preference from water rafting and surfing to spa days and salsa – is somewhat uncommon. You like the thought of travelling somewhere exciting while being active and working out with your clients, but what is it all about and what is the benefit to you as a fitness professional? We get these questions a lot, so we have put together a list of the top five benefits of hosting a Yoga retreat as a trainer or studio. On the last day of your retreat, we transfer the full amount of profit to your business account. The host receives their retreat free of charge. Retreats help to build on your current momentum and spending quality time with clients helps to grow their trust and loyalty. Retreats encourage current students to practise 50% more than they usually would, leaving studio owners and teachers impressed with class attendance leading up to a retreat and thereafter. By posting about the trip on social media (and your website, etc.) in real time, you’ll be generating new followers and clients who are excited and curious to hear more about you, your teaching, and your future retreats. We donate £25 from every retreat guest to Our Village Project in North India. Not only will you be investing in a life-changing experience for yourself and your students, but you will help by giving back to the impoverished communities of India.